There are a few places in Amman that are absolutely worthy of your Instagram. They’re so aesthetically pleasing, you simply have to put them up on your feed! We at Tip n’ Tag have a few Instagrammable spots that our tipsters would love to share with you, featuring stylish wallpapers, geometrical tiles, funky plants and breathtaking views for you to style up your social presence. Don’t worry if you’re using a smartphone instead of a professional camera, these places have a way of making the pictures and you turn out looking marvelous no matter what. Looking for some vibrant colors to add to your Instagram feed? 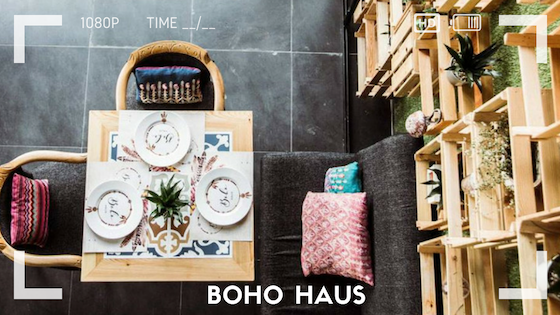 Boho Haus is the place to go. From the food to the walls to the chairs and tables, everything adds a splash of life without any color clashing with the other. Keep an eye out for the dream catchers and words of wisdom on their walls. 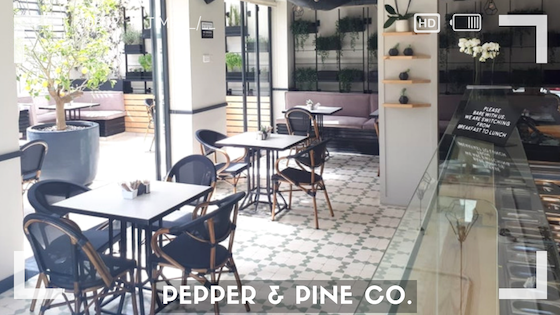 Pepper & Pine has its own lemon tree as a centerpiece wedged between tables. If that doesn’t make you pull out your phone to snap a picture, the interior design definitely will. For those of you who are aiming at a minimalistic, cozy feel, the plain white walls and wide windows are just the thing for you; as they’re juxtaposed with patterned floors and hanging greenery. 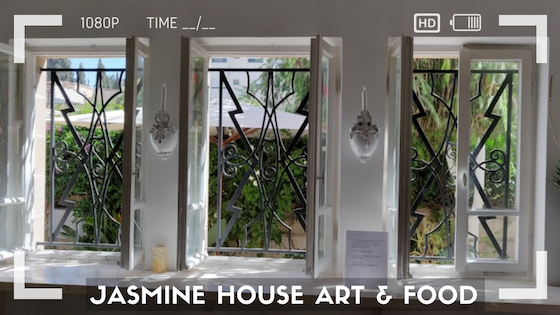 Jasmine House Art & Food combines aesthetic and gastronomic experiences so well together, that you almost feel like you’re dining inside an art gallery! If you’re in the mood for some authentic Italian food, head there and take a few symmetrical shots of the interior space while the sun is still out and the lighting is right! 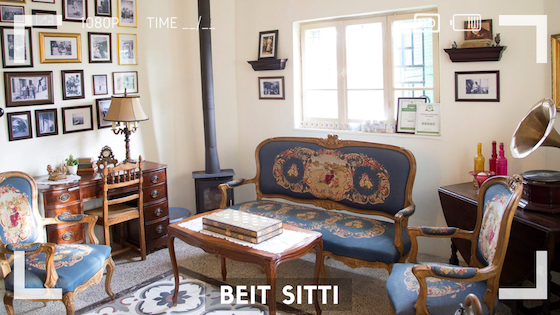 If you want a classic touch to add to your feed, head to Beit Sitti, where you’ll also learn how to cook traditional recipes. The furniture will take you on a nostalgic trip as you walk around and snap some shots. You’ll find many scattered gems, like the collection of framed photographs and the box of backgammon on the table. 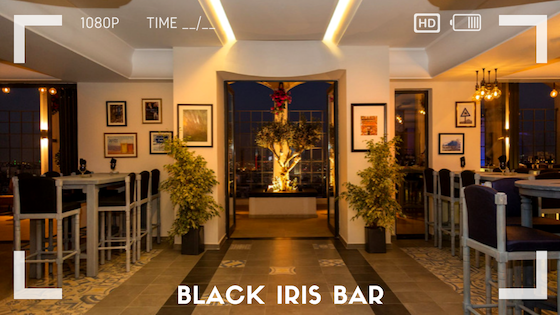 Black Iris is known for its dazzling outdoor decor, lighting, and view of the vibrant city at night. Its interior is quite remarkable as well! Based on the bar’s very own logo, utilizing a single geometric tile, the floor is adorned in old-school squares that tastefully add an aesthetic touch, while small frames decorate the walls. You better hurry up for this one before it gets too cold! 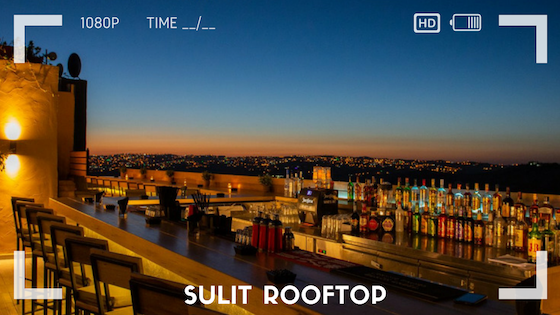 Although Sulit technically isn’t in Amman, it’s still worthy of your Instagram, because it looks like an extension of the sunset. Try and get away from the busy city and enjoy a drink as you overlook (and take some pictures of) the beautiful countryside in Fuheis. 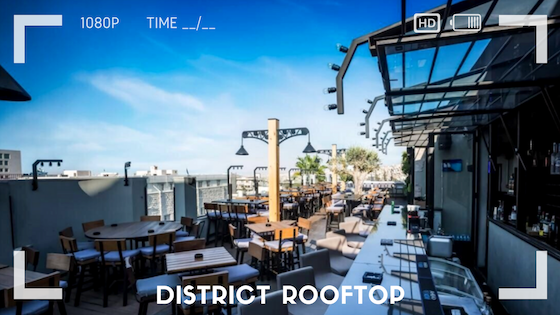 It’s hard to notice all the small details of District when it’s jam-packed with people on weekends, but it’s the ideal spot for urban interior design. Try to head there early and make use of the empty space to take some good pictures of the skyline along the faded bricks and the wall art outside! 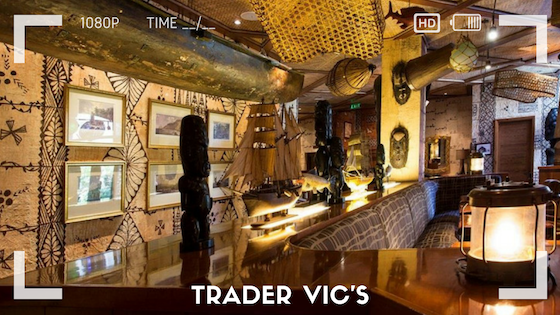 Entering Trader Vic’s feels like stepping inside a giant ship, with all the tiki statues lying around. Each detail is carefully designed as part of its narrative, much like the tribal wallpaper and antique ship models. Different cocktails are served in different tropical cups, so make sure to try a new one every time you head there! 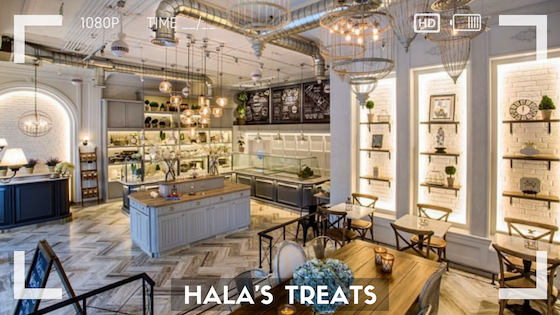 Hala’s Treats looks like it came out of a movie set. From floral centerpieces, to perfectly-written chalkboard menus, rows of mouthwatering pastries and desserts, and big pitchers of lemon and mint infused iced water this place is an Instagrammer’s dream come true. 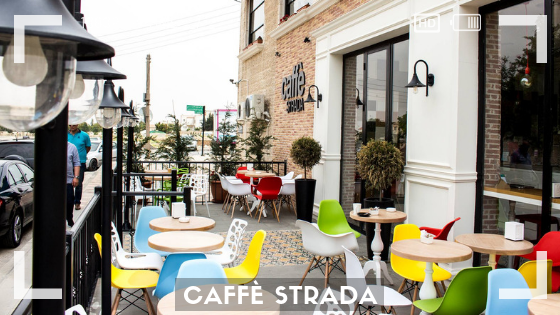 We all know the one by Rainbow Street, but Caffè Strada’s branch in Abdoun brings a little more life with its colorful and upbeat outdoor seating area. Inside, you can find visually-pleasing goodies like the boxes of books in the corners and the bright red spiral staircase. To make it even better, these guys just started serving cheesecakes! 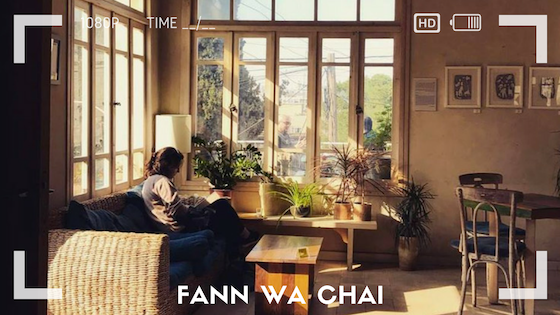 No place feels more like home than Fann Wa Chai, especially with the early morning sun flooding the place through its windows. This little coffee shop has plenty of art pieces, enjoyable books, and even a fish tank made out of an old television! Everything is simply picturesque, and all you need to do is step inside and snap a picture. 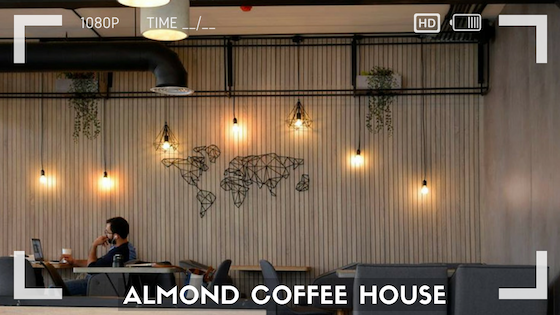 You can go to Almond Coffee House in Rabieh to work, stimulate your creativity or catch up with friends, but you’re bound to sneak a photo or two of the black pipes overhead, the striking geometric ceiling lights, the partition bars, and the map of the world! Strike a pose and say jameed!